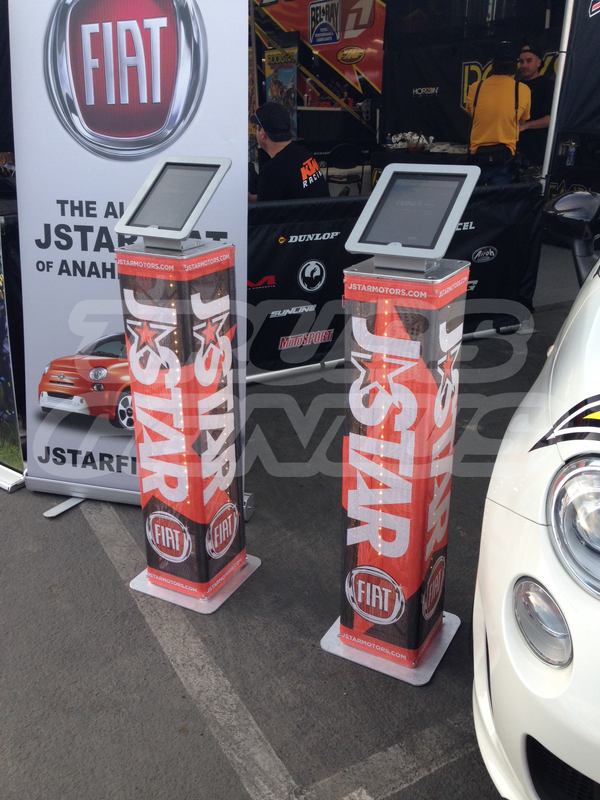 The F24 Square Truss iPad Kiosk Kit has the versatility and flexibility to be a 3 in 1 iPad Display System. 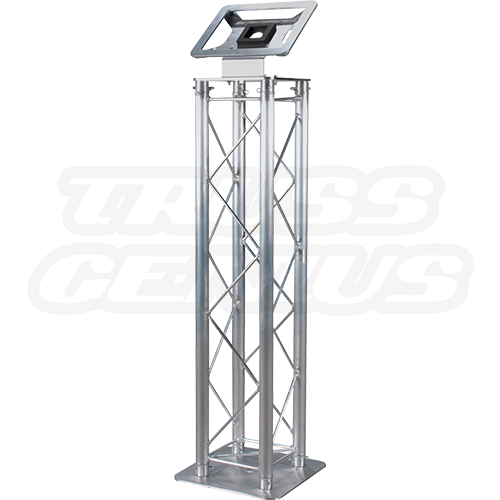 Depending on your needs the iPad Kiosk Kit can be configured to be freestanding on the floor, attached to a vertical truss, on a table-top or be wall mounted. 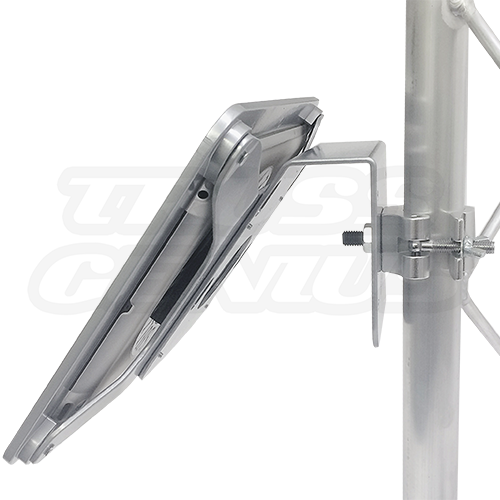 The iPad enclosure will not interfere with Wi-Fi, Bluetooth or 3G/4G/LTE connectivity. 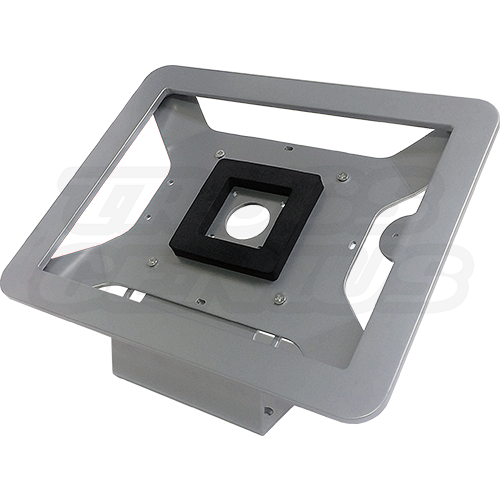 iPad Enclosure can be configured for either orientation vertical or horizontal. Enclosure secures the iPad against theft and prevents users from tampering with iPad. 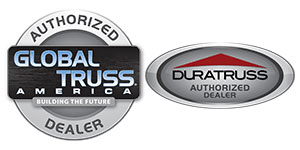 Ask us about our Custom Powder Coat Options.